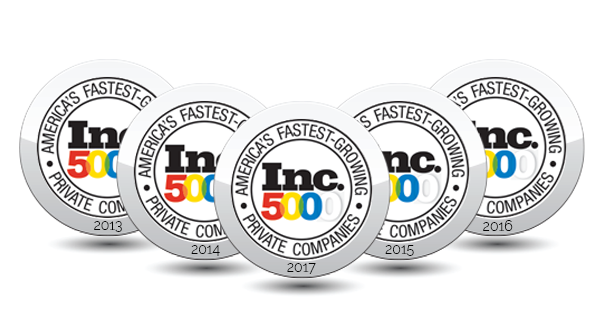 PreCheck, Inc., a background screening and credentialing firm specializing in the healthcare industry, made the 2017 Inc. 5000 with a three-year sales growth of 49 percent. The Inc. 5000 is an exclusive ranking of the nation’s fastest-growing private companies and comprises the most comprehensive look at America’s independent entrepreneurs. This represents PreCheck’s fifth consecutive entry on the exclusive list, which places the firm as a five-time Inc. 5000 Honoree. PreCheck has exclusively served the healthcare industry’s background screening and employment qualification needs since 1993. The company’s full suite of screening solutions is tailored to support healthcare human resources, medical staff services, and healthcare compliance job functions. PreCheck made its debut on the Inc. 5000 in 2013 and re-entered the list each subsequent year. The 2017 Inc. 5000 is ranked according to the percentage revenue growth when comparing 2013 to 2016. To qualify, companies must be U.S.-based, privately held, for profit, and independent—not subsidiaries or divisions of other companies—as of December 31, 2016. Founded in 1983, PreCheck has focused exclusively on serving the healthcare industry’s background screening and employment qualification needs since 1993. PreCheck serves over 3,500 hospitals, long-term care facilities, clinics, educational institutions, and other ancillary healthcare organizations, across the U.S. PreCheck has evolved over time from a background screening provider into a turnkey outsourcing solutions provider, offering a full suite of background screening, compliance, and credentialing solutions all designed to help its clients adhere to the extensive regulations governing the healthcare industry. Based in Houston, PreCheck has been recognized as an Inc. 5000 company from 2013-2017 and has achieved Background Screening Credentialing Council Accreditation by the National Association of Professional Background Screeners.